Check the catalog for more information about these movies! 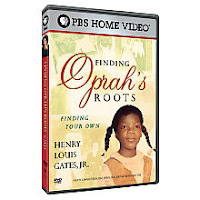 Finding Oprah's Roots: Oprah Winfrey's ancestry is traced back to the Kpelle people of Liberia using modern advances in genealogical research. Rent: The story of eight friends dealing with life and love in Manhattan's Alphabet City in 1989. Over the course of a year, the friends face poverty, drug addiction, break-ups, reconciliations, eviction, and AIDS. Shaun of the Dead: When flesh-eating zombies are on the hunt, it is up to Shaun and his buddy to save their friends and family. Use the catalog to find out more info! Check the library catalog for more info about these books! The Prophet of Yonwood, Jeanne DuPrau: It’s 50 years before the settlement of the city of Ember, and the world is in crisis. War looms on the horizon as 11-year-old Nickie and her aunt travel to the small town of Yonwood, North Carolina. There, one of the town’s respected citizens has had a terrible vision of fire and destruction. Her garbled words are taken as prophetic instruction on how to avoid the coming disaster. If only they can be interpreted correctly. . . .
Love, Stargirl, Jerry Spinelli: Still moping months after being dumped by her Arizona boyfriend Leo, fifteen-year-old Stargirl, a home-schooled free spirit, writes "the world's longest letter" to Leo, describing her new life in Pennsylvania. Interworld, Neil Gaiman: At nearly fifteen years of age, Joey Harker learns that he is a Walker, able to travel between dimensions, and soon joins a team of different versions of himself, each from another dimension, to fight the evil forces striving to conquer all the worlds. What They Found: Love on 145th Street, Walter Dean Myers: Fifteen interrelated stories explore different aspects of love, such as a dying father's determination to help start a family business--a beauty salon--and the relationship of two teens who plan to remain celibate until they marry. November Blues, Sharon M. Draper: A teenaged boy's death in a hazing accident has lasting effects on his pregnant girlfriend and his guilt-ridden cousin, who gives up a promising music career to play football during his senior year in high school. Book of a Thousand Days, Shannon Hale: Fifteen-year-old Dashti, sworn to obey her sixteen-year-old mistress, the Lady Saren, shares Saren's years of punishment locked in a tower, then brings her safely to the lands of her true love, where both must hide who they are as they work as kitchen maids. Nobody's Princess, Esther Friesner: Determined to fend for herself in a world where only men have real freedom, headstrong Helen, who will be called queen of Sparta and Helen of Troy one day, learns to fight, hunt, and ride horses while disguised as a boy, and goes on an adventure throughout the Mediterranean world. Jinx, Meg Cabot: Sixteen-year-old Jean "Jinx" Honeychurch, the descendant of a witch, must leave Iowa to live with relatives in Manhattan after the first spell she casts goes awry, but she will have to improve her skills to stop her cousin from practicing black magic that endangers them and the boy they both like. Based on the book by Anthony Swofford about his experiences in Operation Desert Storm, from his rigorous Marine basic training to the punishing heat of the desert, and the intolerable long wait for battle. The son of Indian immigrants born in America wants to fit in with fellow New Yorkers, but his family is unwilling to let go of their traditional ways. Bonus features include deleted scenes, commentary, featurettes, and more. Year of the dog [videorecording]. This is one of my favorites of 2007, for sure. It is probably one of my top favorite books of the last few years as well (one of these days I might narrow that down to something more specific, but I do tend to have a wishy washy sense of favorites). What makes Black Swan Green so wonderful, so enjoyable, is the richness of the language, the literary quality of the writing. The moment I was done reading, I wanted to start over again with pencil and post-its to copy down some of the many many many wonderful passages. If you enjoy language for itself, and enjoy brilliant use of language, you will also love this book. The plot is highly appealing as well - boy growing up in somewhat rural England, being a boy that is a very particular, thoughtful type of boy. He's struggling with a stutter, which he personifies and names "hangman". He's got names for other aspects of his personality as well, in that sort of way in which we all recognize when the best and worst parts of ourselves show their faces but can't really do much about it anyway. I could go on, I really could - but it would be much much more fun to talk it over with someone who has also read it. I'd say this is the kind of book thoughtful teens and adults alike will enjoy together.